The Cú Chulainn Coaster pictured when it opened in 2015. TAYTO PARK HAS has secured planning permission for an “iconic” €14 million steel rollercoaster. Planning documents stated that the ride, called ‘Coaster 2021’, will help projected visitor numbers to the theme park increase by 15% from 630,000 in 2019 to 725,000 in 2023. Tayto Park, which is located in Ashbourne, Co Meath, is aiming to build the attraction next year and open it to the public in 2021. Meath County Council has given the green light to the project, attaching 26 conditions to its decision. Coaster 2021 will be the same height as the park’s 32-metre high Cú Chulainn Coaster but will be 400 metres longer that the 1,082-metre long wooden rollercoaster. The planning authority gave the plan the go-ahead in spite of a small number of objections from locals. However, the opposition to the rollercoaster – which is expected to create an additional 40 full-time and part-time jobs at the park – raises the threat that the decision may be appealed to An Bord Pleanála. A 189-page Environmental Impact Statement (EIS) lodged with the planning application outlines the need for Coaster 2021 for the future of Tayto Park. The document notes that international experience relating to theme parks illustrates that the introduction of new attractions is required to maintain and strengthen market position and customer interest. The EIS adds that “there is a need to add new attractions every two to three years to maintain visitor numbers”. The document states that the primary need for Coaster 2021 is for the long-term viability of Tayto Park and to maintain its market position as a key tourism attractor in Co Meath. Giving a breakdown of visitor numbers to Tayto Park, the EIS states that 33% are from Dublin, 27% from Northern Ireland, 16% from Meath, 2% from Great Britain, 1% from Europe and the remainder from the rest of Ireland. The latest figures show that in 2017 Tayto Park recorded an 8% rise in pre-tax profits, up to €3.65 million, as revenues increased by 5% to €17.533 million – or an average of €92,770 per day in revenues for each of the 189 days Tayto Park was open in 2017. In one of the objections lodged, two local residents stated: “We feel that the proposed new development will have a serious negative long-term impact on our peaceful enjoyment, and critically the long-term value of our home. We currently experience noticeable noise pollution from the park and the existing rollercoaster and the train whenever the park is open. They also noted that new rollercoaster will be 700 metres from their property and “would be directly visible from our back garden and the bedrooms at the rear of our home”. Another resident who has a young family objected on the basis of the lack of local community consultation over the project, the impact of the project on residential amenities including privacy, noise levels and increased litter. He also claimed the proposal would generate increased traffic in an area that already has a significant traffic issue. Email “Tayto Park secures planning permission for new rollercoaster despite objections ”. 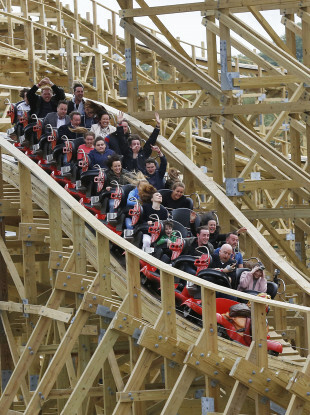 Feedback on “Tayto Park secures planning permission for new rollercoaster despite objections ”.